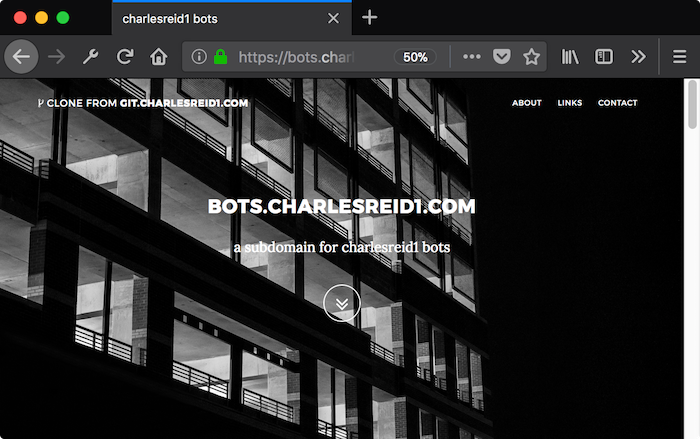 This is the webpage of Dr. Charles Reid. 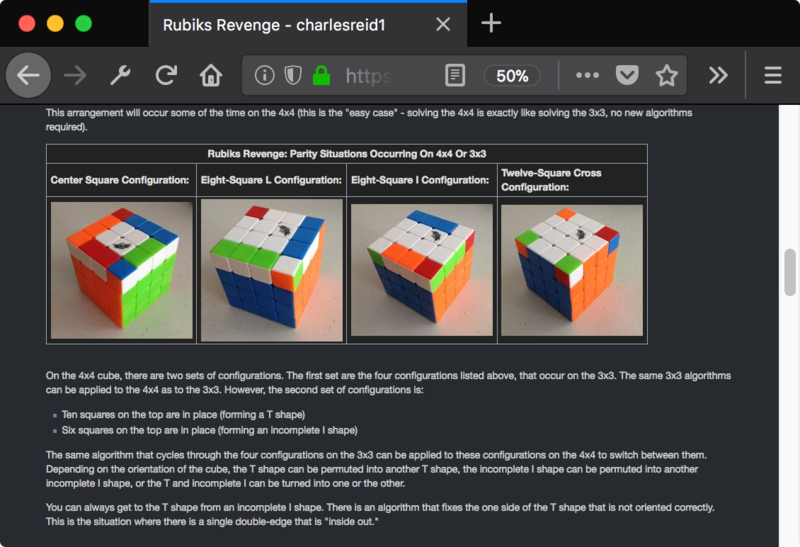 the wiki is a compilation of reading material, notes, scripts, logs, guides, lecture notes, and scattered thoughts. 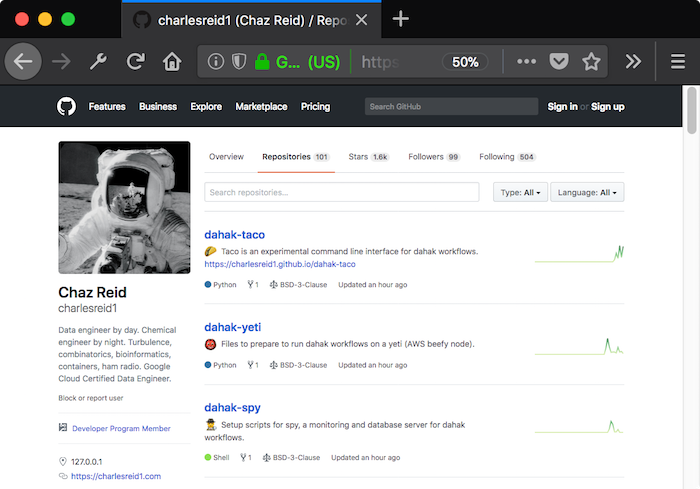 git.charlesreid1.com is where all of my code projects are hosted. 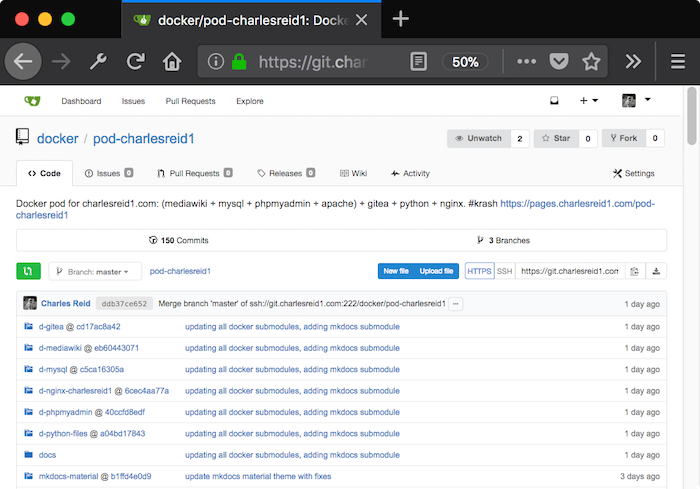 gitea is a self-hosted github clone written in go. 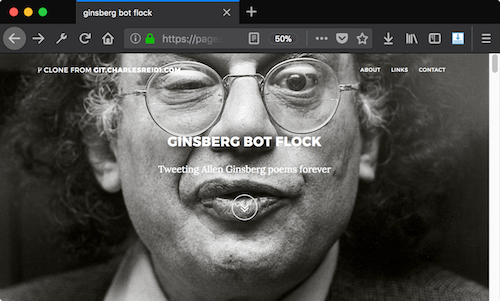 follow my coding work on github. 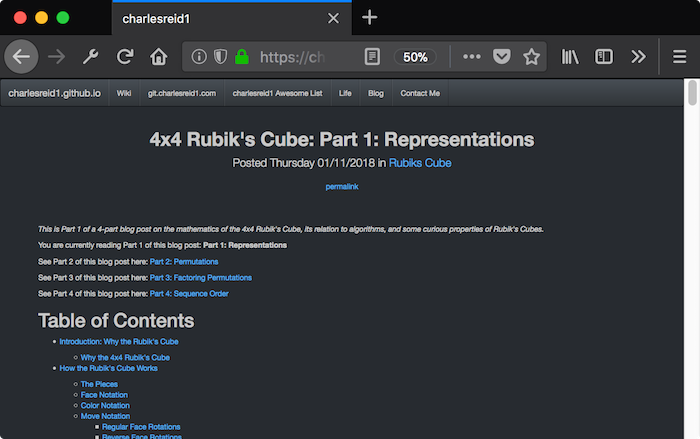 occasional blog, notes on math, research, and teaching topics. 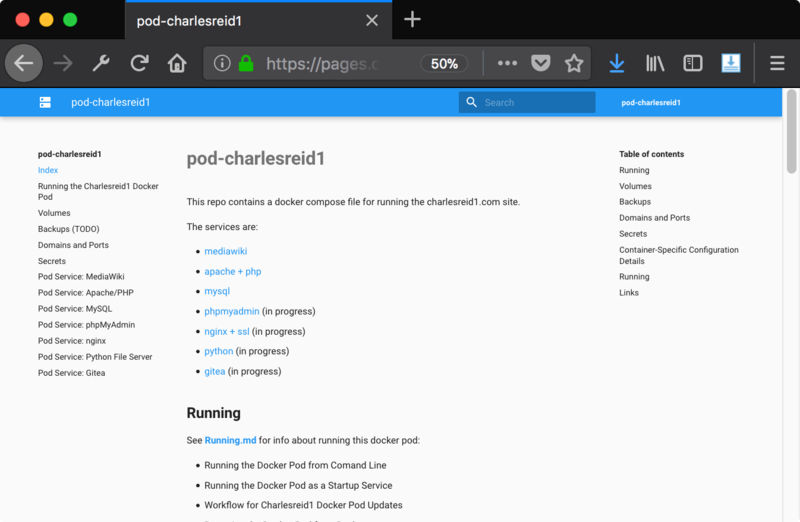 provides static hosting space for git.charlesreid1.com projects. 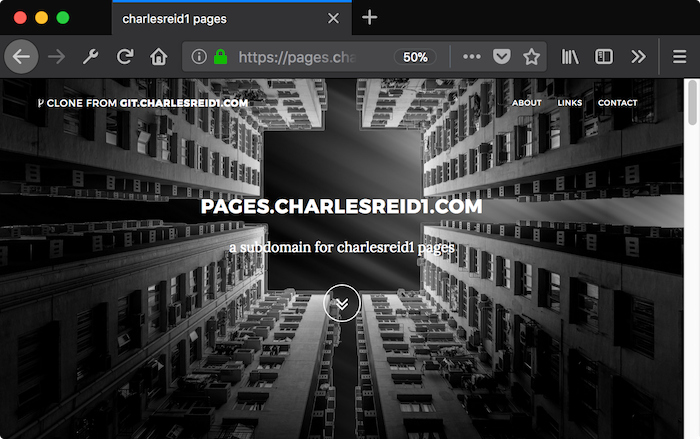 pages.charlesreid1.com is a self-hosted, push-to-deploy Gihtub Pages/Heroku-like service. 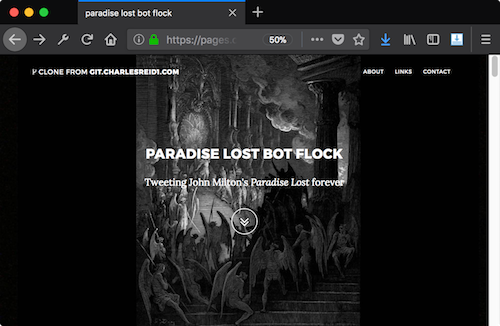 provides static hosting space for my bot projects. 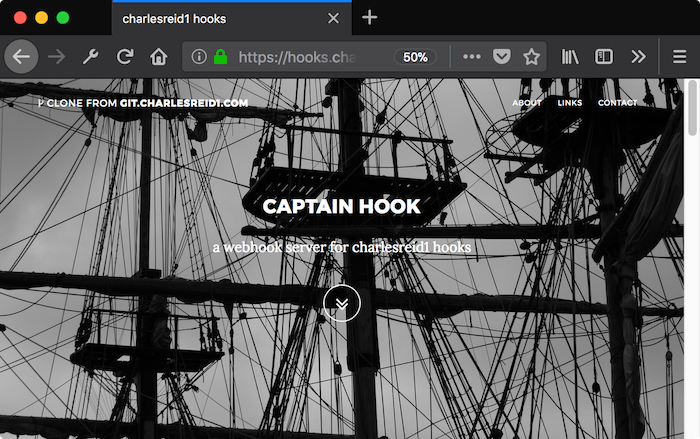 overview of Captain Hook, the webhook server that makes the magic happen on pages.charlesreid1.com. 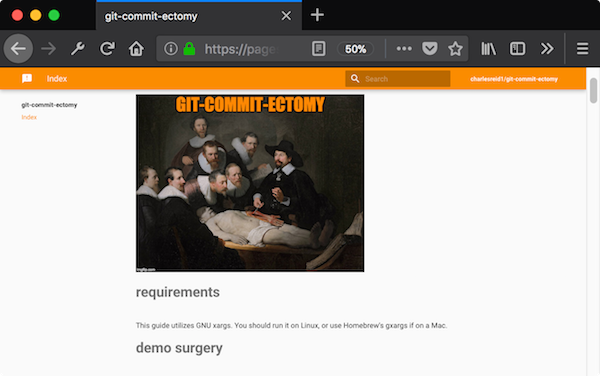 Dr. Reid's Patented Git-Commit-Ectomy will remove painful and problematic commits from your history forever. 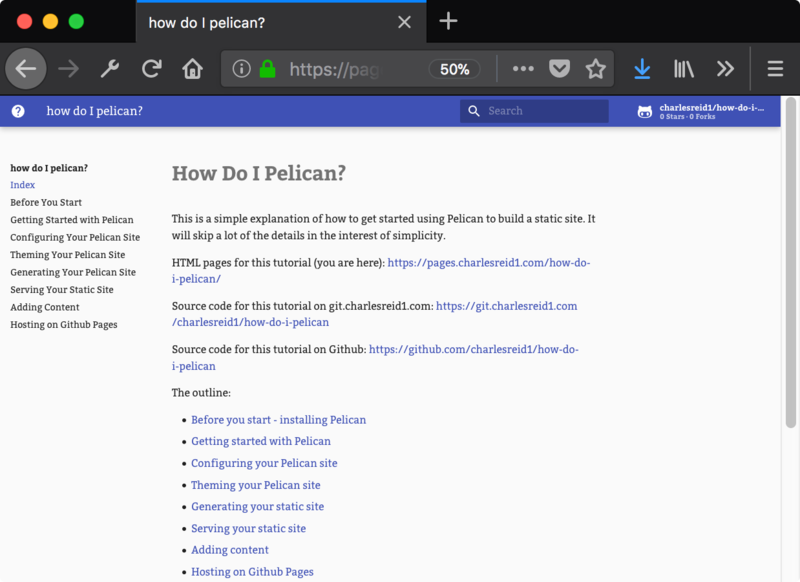 a short guide to getting going with pelican, a Python static content generator. 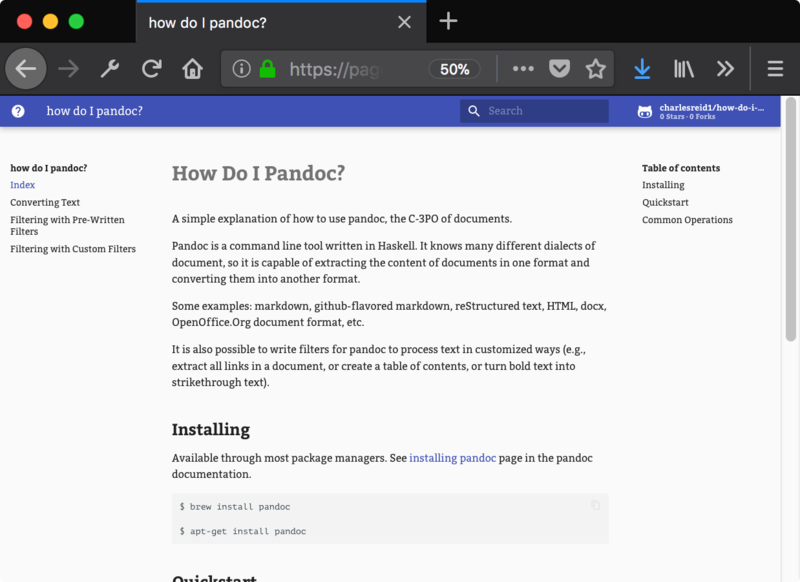 a short guide to getting going with pandoc, the Swiss army knife of documents. 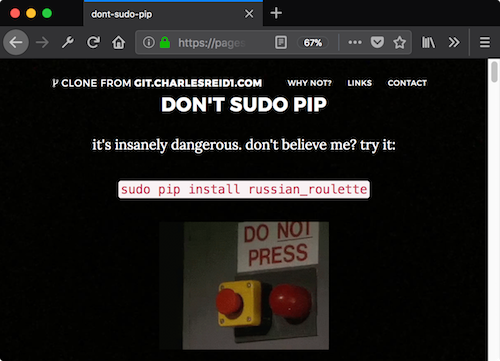 don't sudo pip - it's insanely dangerous! 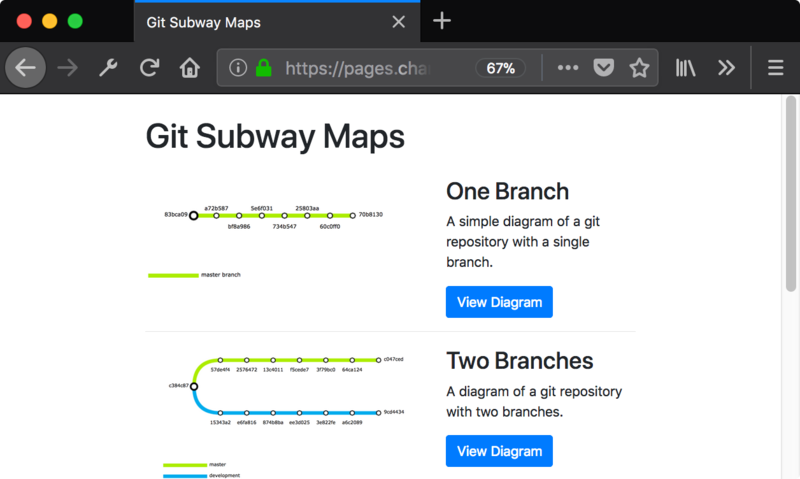 Diagrams of git repositories, in the style of subway maps. 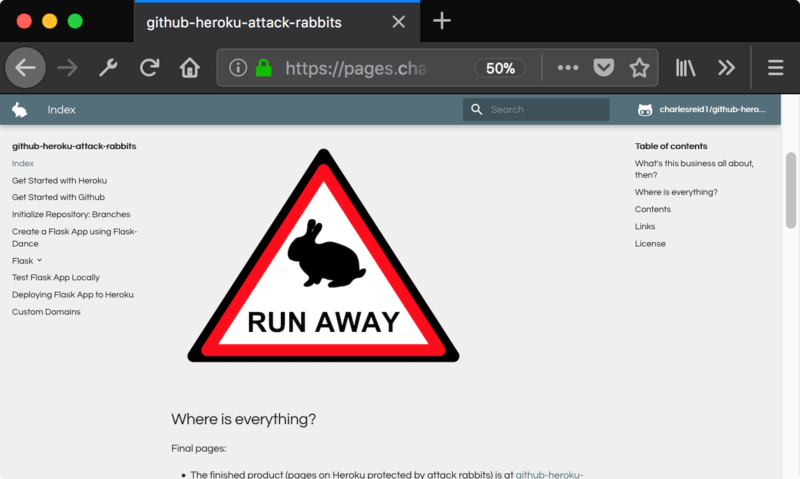 Github Heroku attack rabbits allow you to add a Github OAuth authentication step in front of a Heroku app, to control access to content. Beware of attack rabbits! 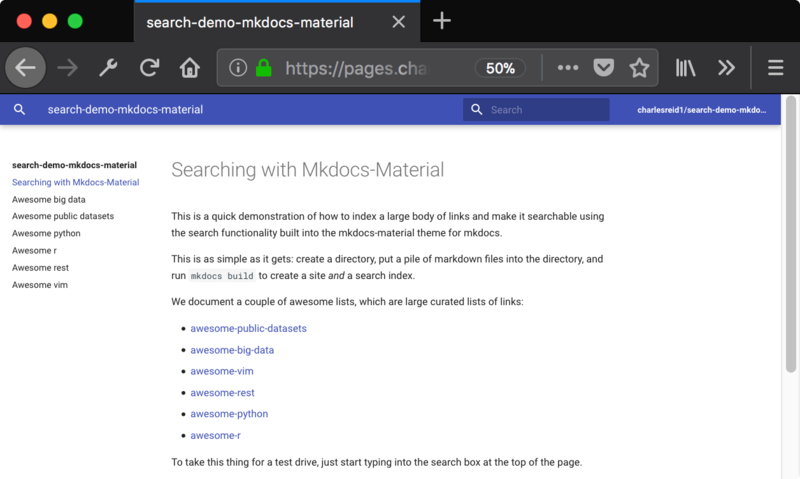 Searching a collection of links using the mkdocs-material theme, providing search via lunr.js. 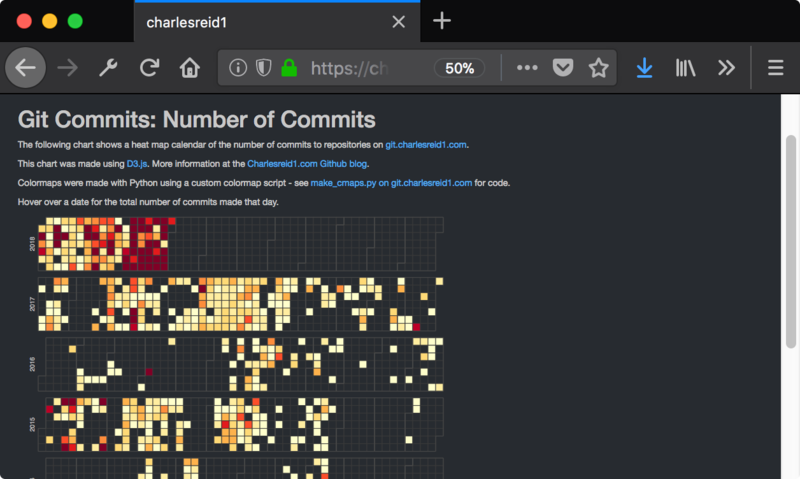 a git commit graph (calendar view of git commits) for git.charlesreid1.com. Data Acquisition, Data Analysis, Data Engineering: Turning Data Into Knowledge. Chemical Reactor Modeling, Industrial Process Control. Scientific Software, Code Verification, Validation & Uncertainty Quanification. 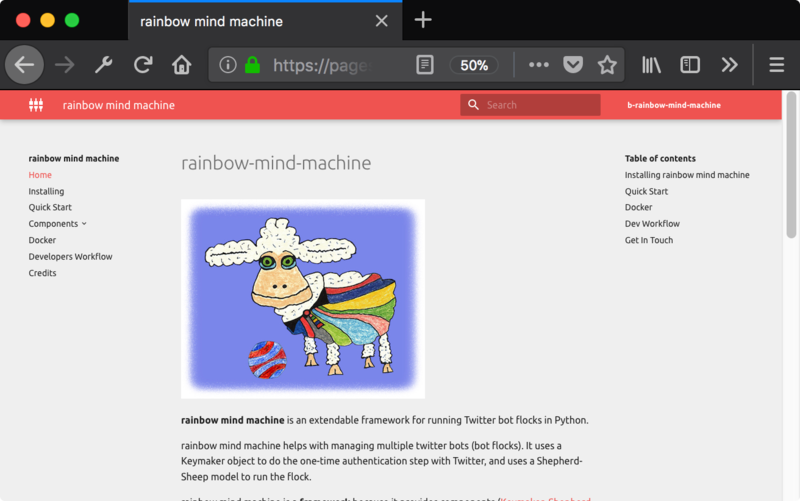 Machine Learning for Industrial and Engineering Applications. Python, Java, Git, Bash, Perl, Matlab, C++, Doxygen. Open Science, Better Technical Communication. 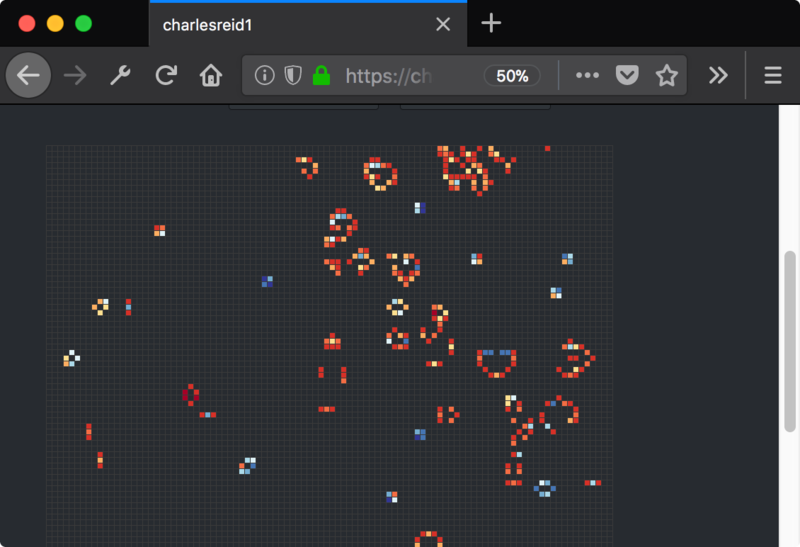 Keras, TensorFlow, Neural Networks, Facial Recognition. Electronics, SDR, Ham Radio, Wireless. 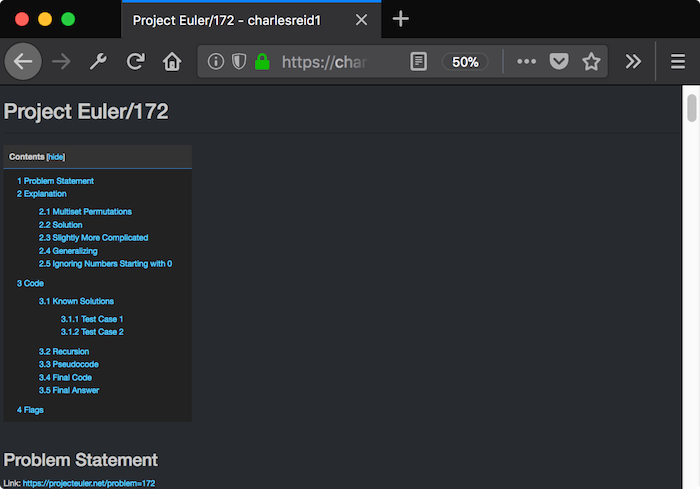 Unix, Networking, Computer Security, Data Pipelines. Internet of Things, Raspberry Pi, Arduino, Microcontrollers. 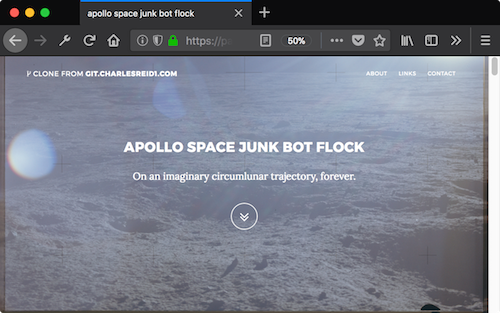 Building and Using Web APIs, Web Apps, Bots, Spiders, Data Harvesters, and Scrapers. Breaking Down Concepts Into Simple Enough Terms That Five Year Olds Can Understand Me.